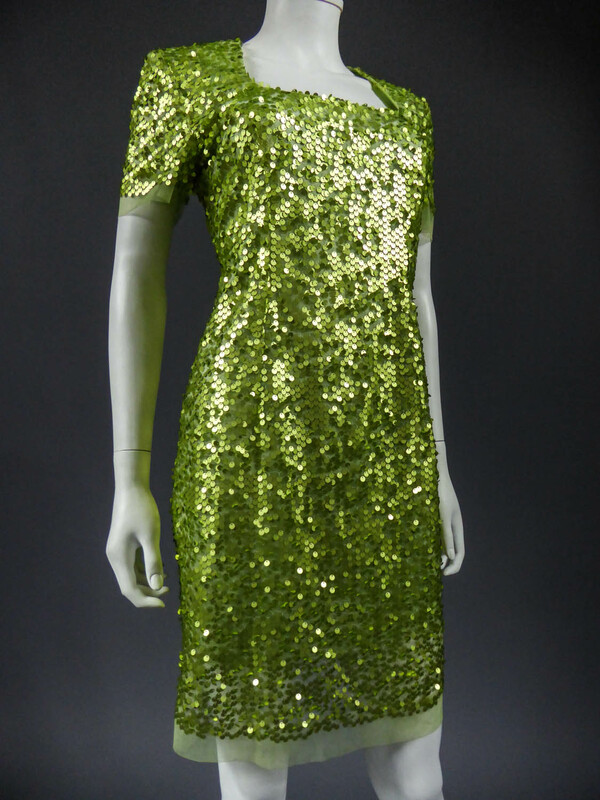 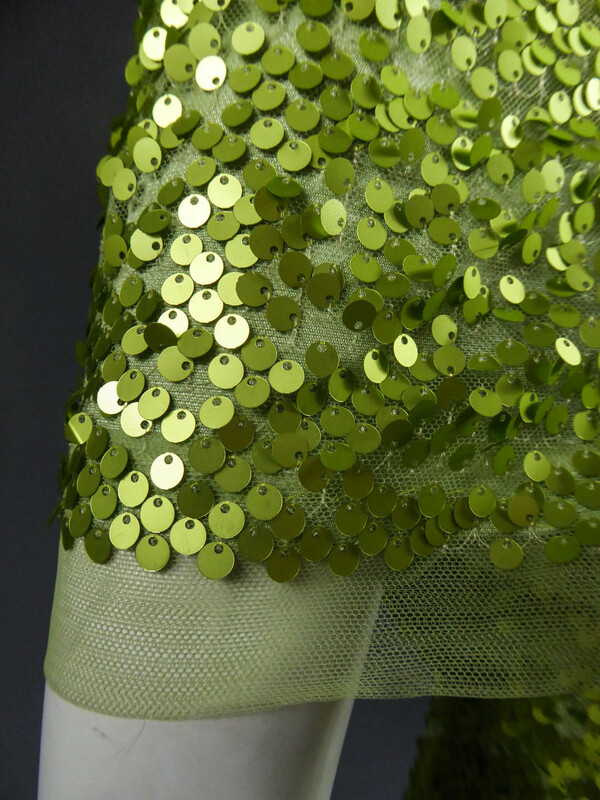 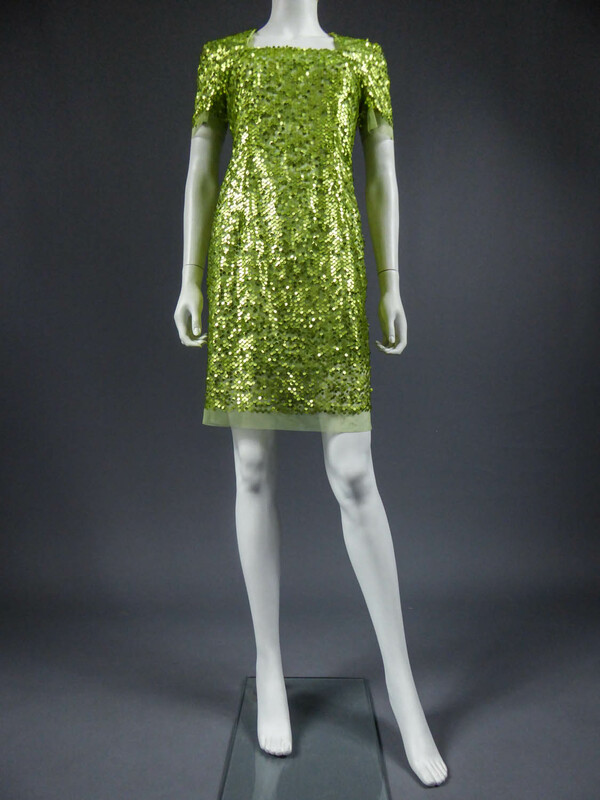 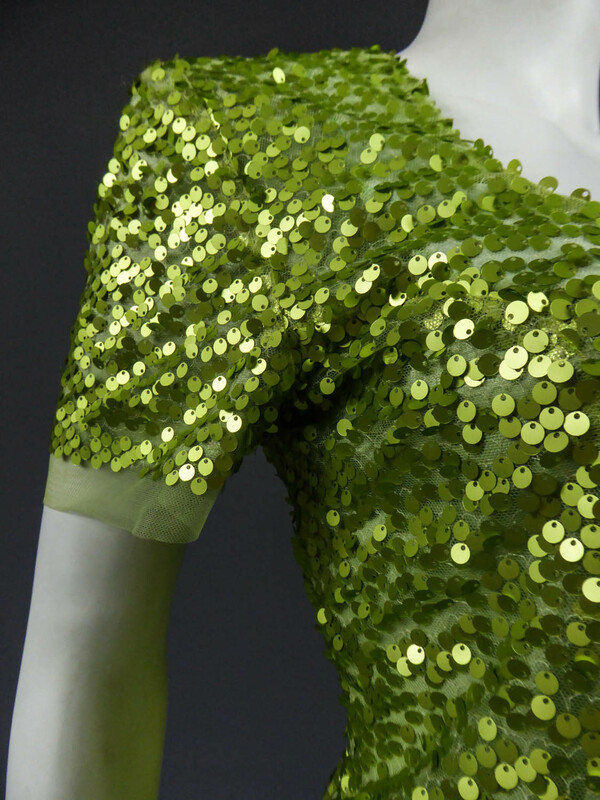 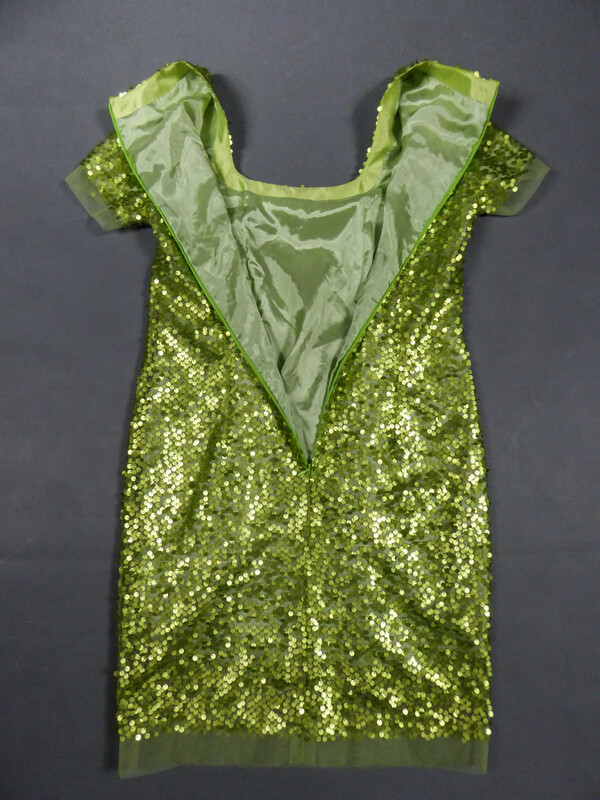 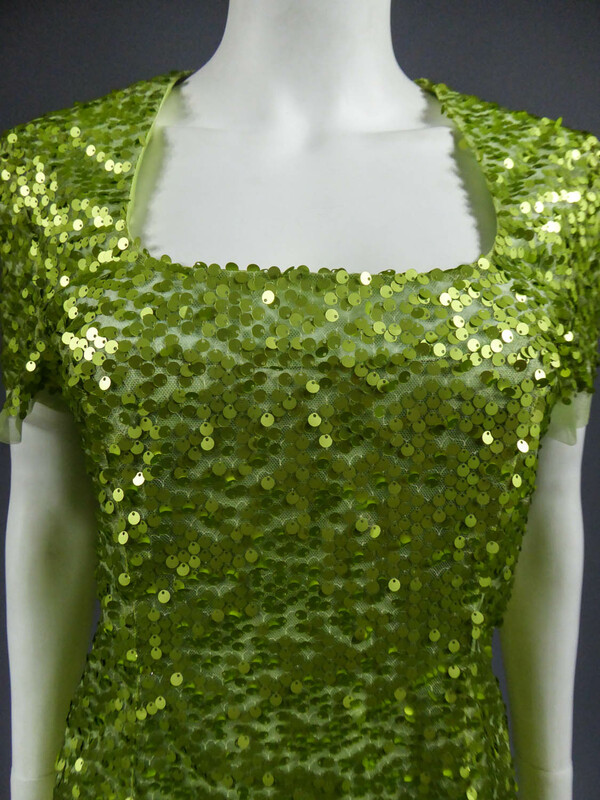 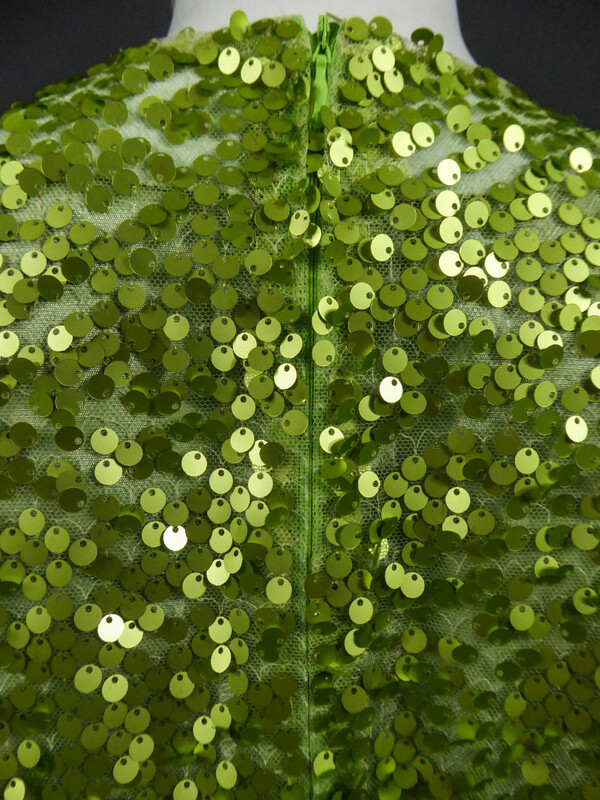 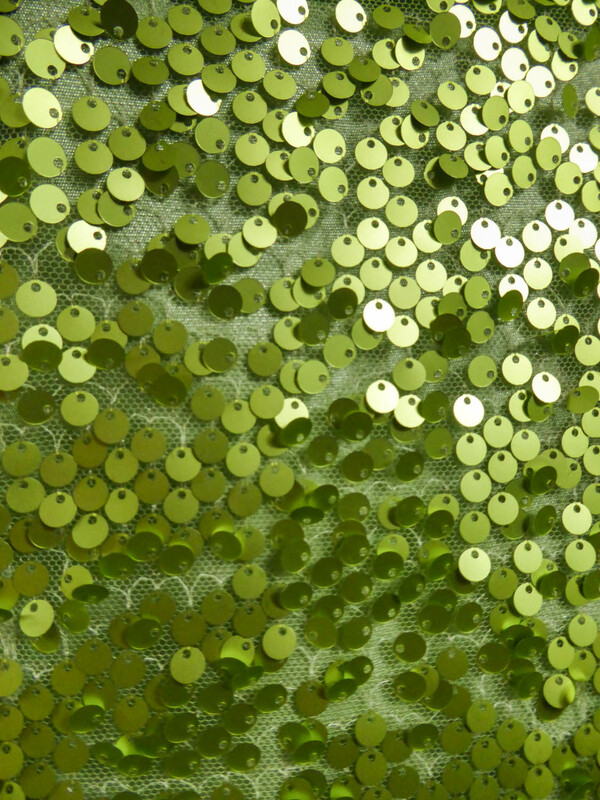 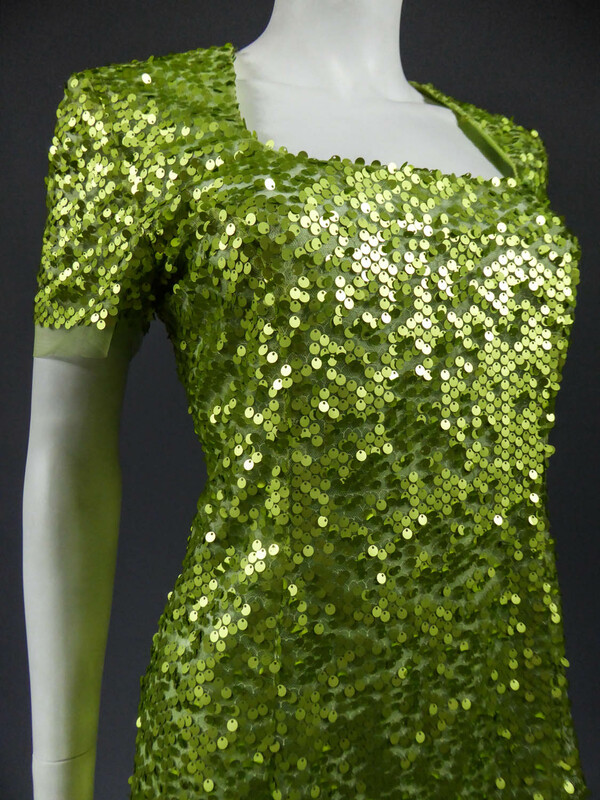 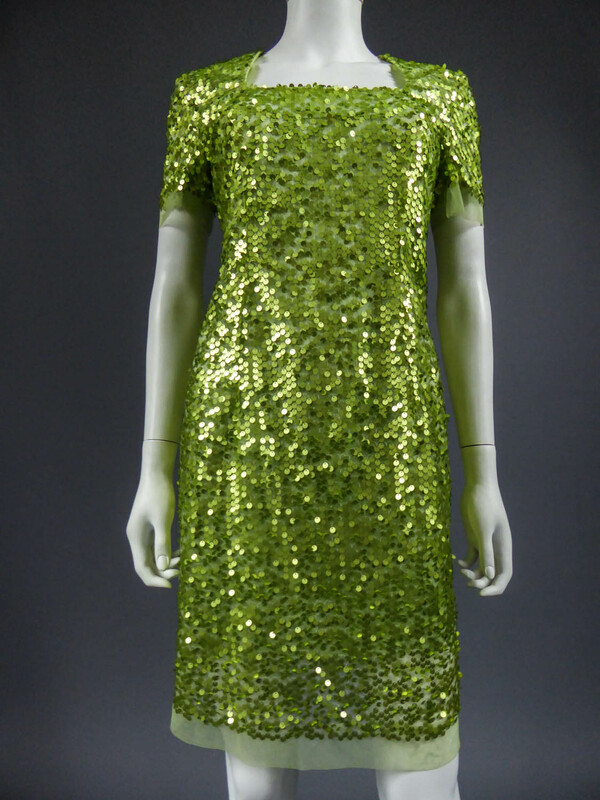 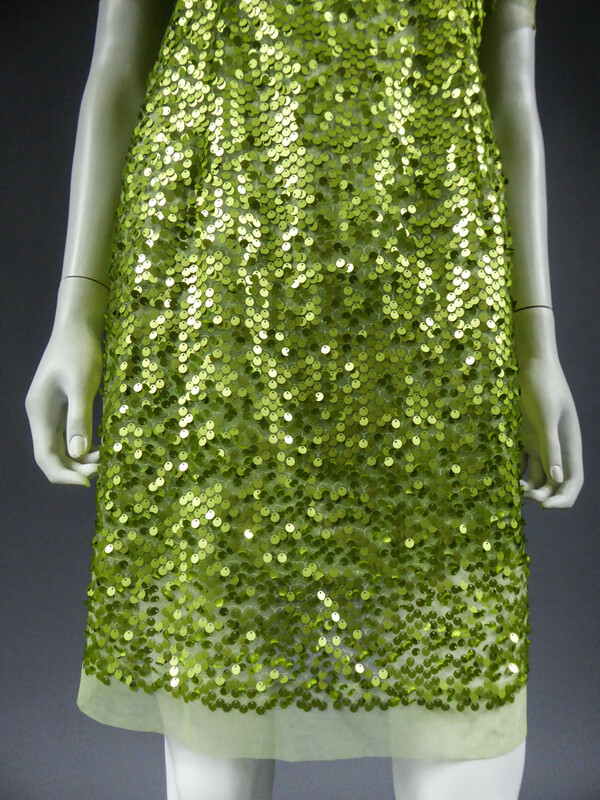 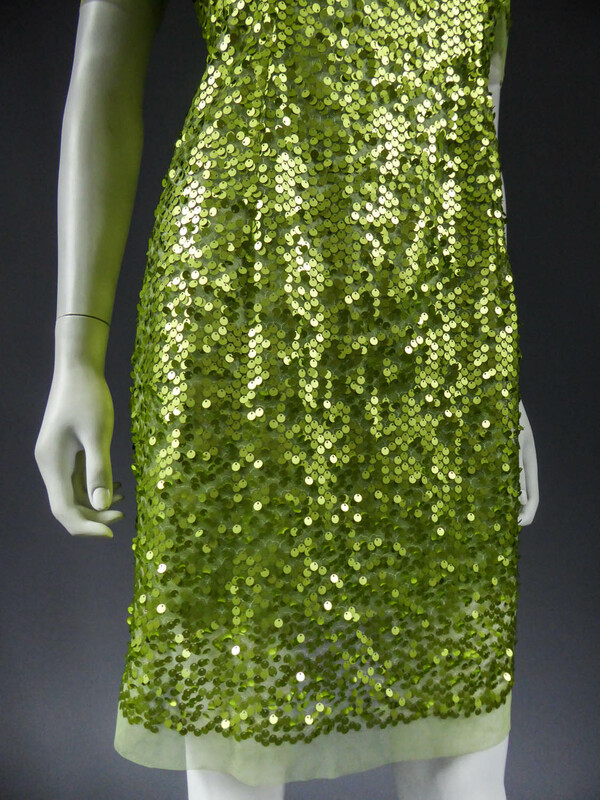 Short dress in green tulle embroidered with iridescent green glitter. 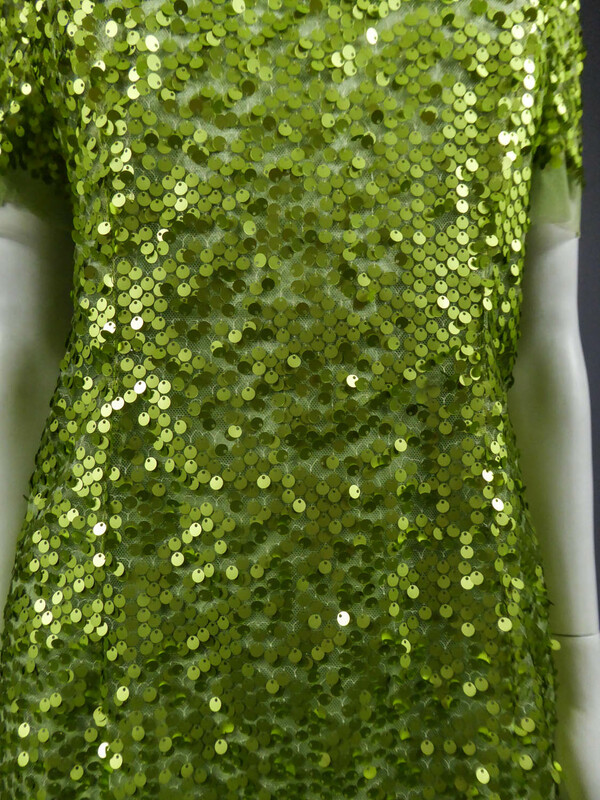 Square collar and slin-tight, it closes at the back with a zip. 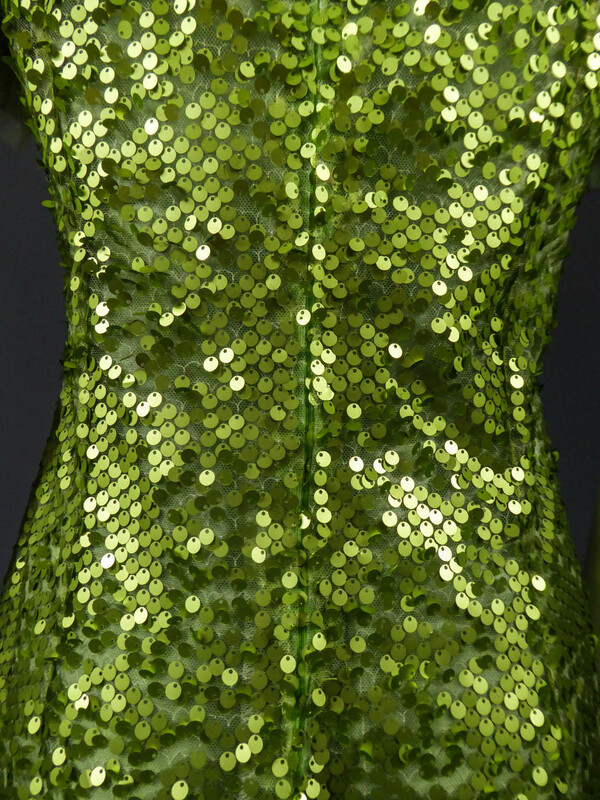 Lining in green synthetic. 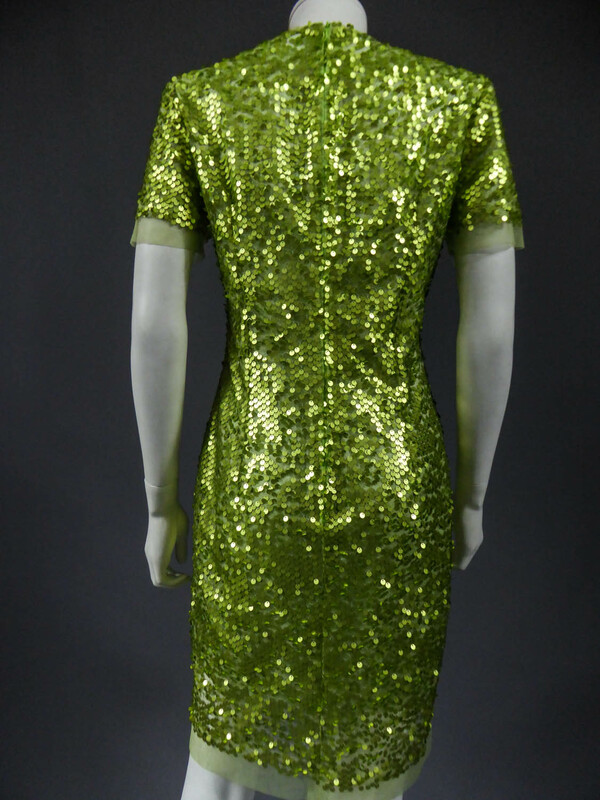 Very good condition of color and conservation.